As the auto industry continues to embrace electric cars, governments around the world are continuing their own march of ramping up efforts to accommodate the rise of electric vehicles. The local governments of Paris, Madrid, Athens, and Mexico City have all said that they’ll ban diesel cars from city centers by 2025. More recently, the British government said that the sale of gas and diesel cars will be banned from 2040, a move that France also plans to make. Now Australia’s getting in on the action with plans to build a massive superhighway along the coast of Queensland near the Great Barrier Reef. This superhighway, according to Reuters, will be built for electric cars. The project itself is as grandiose as it is ambitious. If it comes to fruition, the superhighway will cover a distance of 1,118 miles, running from Coolangatta in the south of Cairns and stretching all the way to Cairns in the northern area of Queensland. To put that in perspective, that 1,118-mile distance is roughly the same as going from New York, New York to Miami, Florida. While there is still no timetable as to when this superhighway will be built, there are also plans to equip this long stretch of road with charging stations, spread out along its entire length. According to reports, these stations will be provided by Tritium and Schneider Electric, a local based manufacturer that plans to offer free charging to all plug-in vehicles who will use the road. Should the superhighway become a reality, its sheer size and location – in reach of the majestic Great Barrier Reef – could turn it into one of the best highways in the world, and quite certainly, the quietest of them all too. When you’re talking about the greatest driving roads in the world, Australia and its neighbor, New Zealand, are actually well-represented already. The Land Down Under already boasts the breathtaking Great Ocean Road, a 151-mile coastal road that not only has clear views of the famous Twelve Apostles limestone stack formations, but also happens to have been built by soldiers who returned from World War I to honor their fallen comrades. 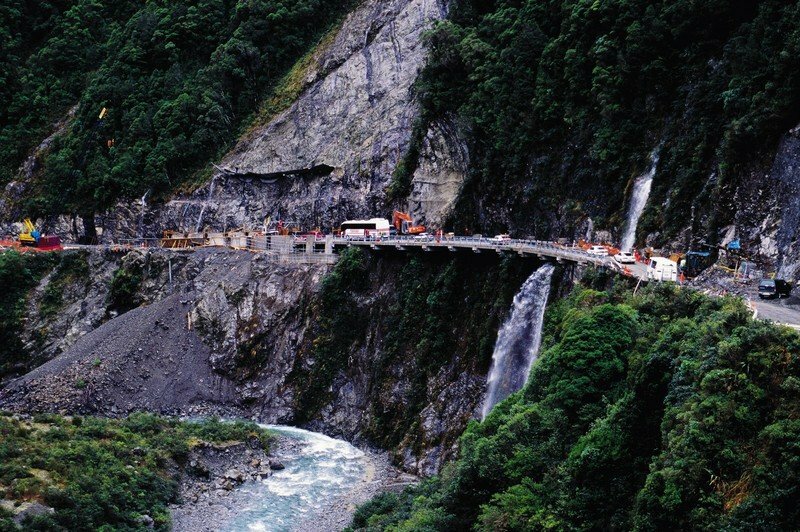 Over in the east at New Zealand, the Kiwis also have an incredible stretch of road to call their own: Arthur’s Pass. It may not be as famous as the Great Ocean Road, but it’s no less majestic to drive on, thanks in large part to the road cutting across New Zealand’s Southern Alps. 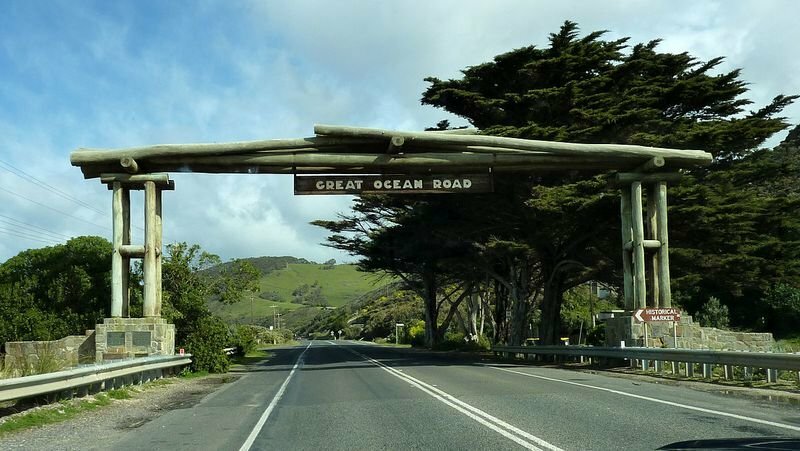 Note: photos of the Great Ocean Road and Arthur’s Pass. 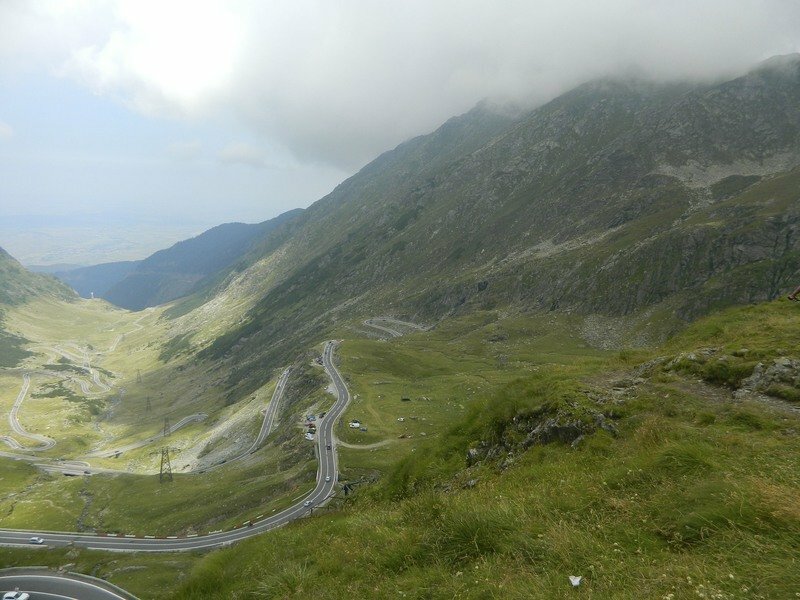 It’s a little tricky to spell and trickier to pronounce, but the Transfăgărășan in Romania really is unlike any road you’ll ever come across. It’s really more like a race track high up on the mountains, with the difficulty level amped up to 100. The entire length of the Transfăgărășan covers a distance of only 56 miles so it pales in comparison to what Australia is planning with its 1,118-mile superhighway. 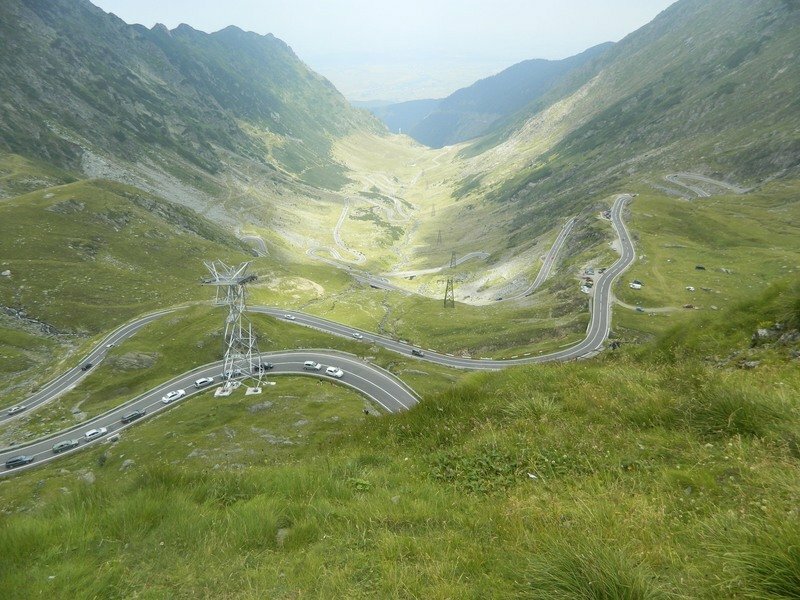 But where the Transfăgărășan lacks in length, it more than makes up for in difficulty and outright exhilaration. Take its winding route for example. It has enough hairpin turns and S-curves to make even the most seasoned of F1 drivers take it seriously. The road even climbs up and down significantly with its highest point measured at 2,034 meters (6,673 feet) above sea level, running across the Southern Carpathian Mountains. And as far as tourist attractions go, the Transfăgărășan also passes by the castle of the notorious Vlad the Impaler, who just so happened to be the inspiration behind Count Dracula himself. You have to give credit to Top Gear for having some kind of influence here. That or they just had a good amount of recency bias on their side. Either way, before Clarkson called the Transfăgărășan the best “driving road in the world,” he said the same thing for The Stelvio Pass in Italy. At the very least, the Stelvio Pass is every bit as imposing as it is breathtaking. It’s similar in some ways to the Transfăgărășan, including having a ridiculous number of sharp hairpin turns that’ll make Monaco’s infamous Turn 6 look like a straight line by comparison. The Stelvio Pass has 48 of them, each of which sits over 9,00 feet above the ground, thus making it the highest paved road in the Eastern Alps. It’s no wonder then why the Stelvio Pass has earned its place as one of the greatest driving roads in the world. Make it out of it and you’ll have plenty of stories to tell from your pilgrimage. Norway is one of the most beautiful countries in the world. It’s rich with beautiful landscape, so it’s no surprise that it has not one, but two of the most beautiful roads in the world. One of these roads is the Trollstigen, which rises 2,300 feet above the ground and has its share of hair-raising hairpins. Part of it also has an incline of 10 percent, which means that you’re driving a good portion of the highway with your car tilted. Still, if you can manage the harrowing dangers that come with the Trollstigen, there’s an area in it where you can park your car and view the majestic scenery that this country provides, including the mesmerizing Stigfossen waterfall. If you want to drive on a road in Norway that sits a lot closer to the ground – or water in this case – the Atlantic Ocean Road is an experience in it of itself. The road itself is relatively short - only a little over five miles – compared to others on this list, but where it lacks in distance, it more than makes up for in sheer grandeur. See, the Atlantic Ocean Road is unique in the sense that it traverses an archipelago of small islands via bridges, causeways, and viaducts. Imagine driving this stretch of road with the Atlantic Ocean beneath you and Norway’s beautiful landscapes all around you. 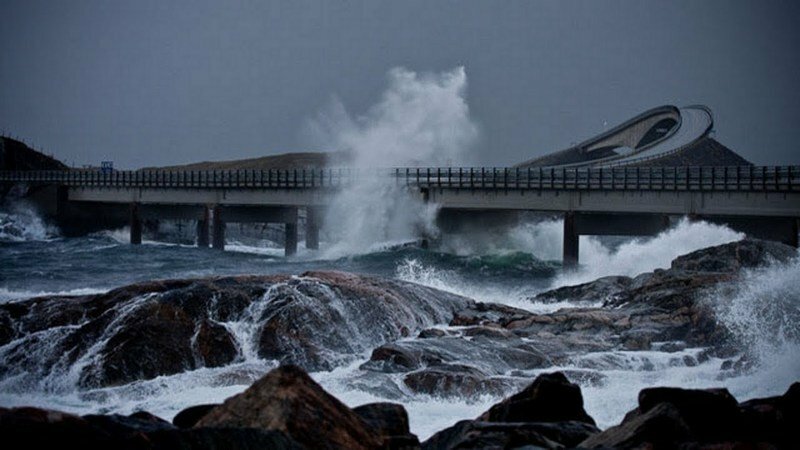 It’s no wonder that the Atlantic Ocean Road is routinely honored as one of the best driving roads in the world. 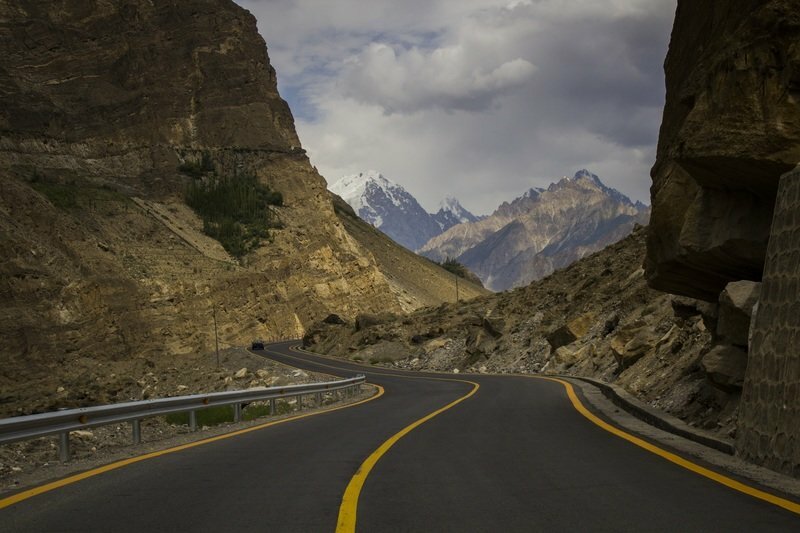 A long ways east of The Stelvio Pass is the Karakoram Highway in Pakistan, which somehow got the nickname “The Friendship Highway” because it connects Pakistan and China. Well, anybody who’s ever traveled on the Karakoram Highway will probably attest that there’s nothing friendly about it. In addition to being the highest paved international road in the world – it sits an elevation of almost 15,400 feet above ground – the Karakoram Highway also holds the distinction of being prone to landslides, floods, and Mother Nature’s prickly sense of humor. If that’s not enough, the road on the side of Pakistan is completely unpaved, making the thought of passing it an exercise in insanity. Still, a lot of people actually do pass through the Karakoram Highway, largely because of the history attached to being in close proximity to the famous old Silk Road. Speaking of China, the world’s most populated country has no shortage of borders on the west, and the one it shares with Tibet can be accessed by driving on the Sichuan-Tibet Highway. This, of course, is admittedly easier said than done because the Sichuan-Tibet Highway can lay claim to being one of the most dangerous roads in the world. At its worst, it’s a haven for landslides and rock avalanches, and I’m not even counting the fact that weather conditions in this road are usually paradoxically poor at best. Still, it makes for a memorable drive if you’re up to going to one of the most majestic and admittedly mystical places in the world: Tibet. It’s a good thing that America is such a big country because we have our own share of jaw-dropping roads. The James Dalton Highway in Alaska counts as one of them, although if you do decide to drive the whole 414-mile stretch, you better be stocked up on resources. The highway’s location provides a nice and serene view of snow all around, but it’s also notorious for having enough potholes to make it look like a wheel of cheese. Then there’s the desolation that comes with driving on this road. Quite literally, you’ll be traveling through the middle of nowhere on your way to the Prudhoe Bay oil fields right near the Arctic Ocean. If you still want your fix of snow, beautiful winter-esque scenery, and the comfort of civilization in your reach, the Beartooth Mountain in Montana checks all of those boxes. The road itself is elevated high up in the mountains at almost 11,000 feet above the ground, but don’t mind that because everything else about this highway is a factory of postcard-worthy scenery. 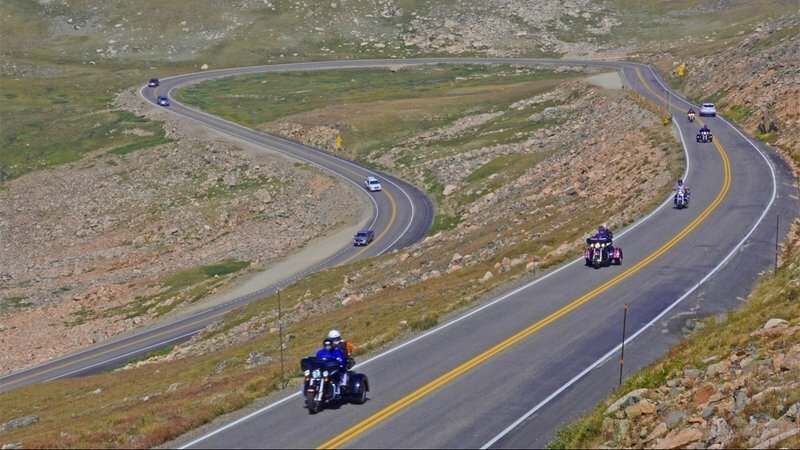 From the snow-capped Beartooth Mountains to the majestic mountain vistas that are literally everywhere, Beartooth Highway is as good a stretch of road that’s located in the US. There’s been a lot of legends attributed to the North Yungas Road in Bolivia, and one has stood the test of time is the “Road of Death” nickname it’s earned over the years. Top Gear has also driven on this road and if you recall that episode, neither Clarkson nor James May nor Richard Hammond were too thrilled about driving in it. In some ways, the North Yungas Road is the farthest thing from what I’d like to call one of the “best driving roads in the world,” but if you count yourself as an adventure-seeking gearhead, this road should sit at the top of your bucket list, provided that you’re aware of all the dangers it possesses.